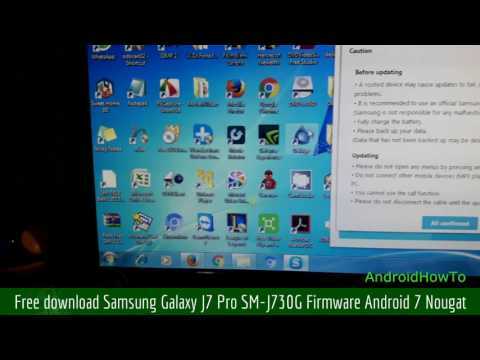 How to free download and save Samsung Firmware using Samsung Smart Switch to your Computer. You can use Samsung Smart Switch to free download the firmware due to the unavailability of a free website that provides for firmware downloads. This guide using Samsung Galaxy J7 Pro as sample, I can not any link for free to download the Galaxy J7 Pro firmware, So I try to download the firmware using smart switch with some tricks. I assume the Samsung Smart Switch (3S) have installed in your computer, now open the 3S. Connect your Samsung device to computer using original samsung USB cable. Make sure you have activated your developer option and enable usb debugging option. Now open windows explorer then go to folder “C:\Users\user\AppData\Local\Temp” user = user_name that current activate. Sort the files list base on “Date modified” by clicking the Date modified order. It looks like this image below. Click Skip, I assume you have backup your data, Once the Dialog box “Software update and inilization in progress” appears, you will a new TMP file created on the folder “C:\Users\user\AppData\Local\Temp”. in this sample the new tmp file name is “tmp3104.tmp“, keep your eyes in this folder. If download complete the .TMP file copied to new ZIP file “tmp3104.tmp.zip“, copying this zip file as soon as possible to other folder, before copy the zip file make sure the ZIP file size is the same with TMP file size. Once you finished copy the file, now you have the firmaware saved in your PC. Before use this firmware or flashing it, you must extract it first.